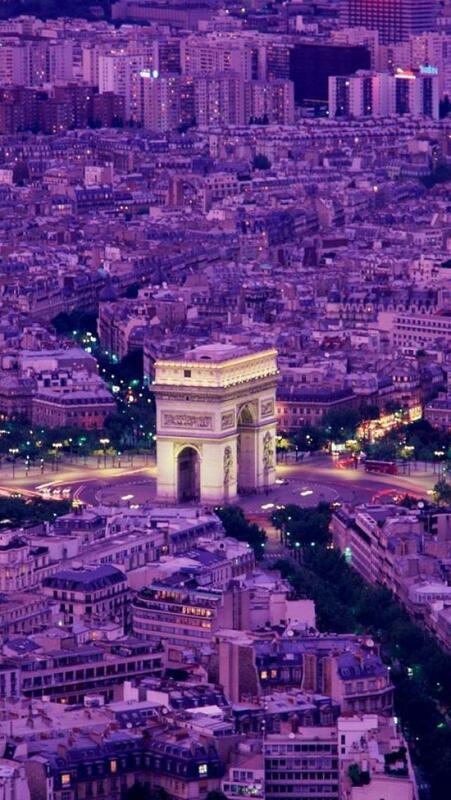 The Arc de Triomphe de l'Étoile is one of the most famous monuments in Paris. It stands in the centre of the Place Charles de Gaulle (originally named Place de l'Étoile), at the western end of the Champs-Élysées. It should not be confused with a smaller arch, the Arc de Triomphe du Carrousel, which stands west of the Louvre. The Arc de Triomphe honours those who fought and died for France in the French Revolutionary and the Napoleonic Wars, with the names of all French victories and generals inscribed on its inner and outer surfaces. Beneath its vault lies the Tomb of the Unknown Soldier from World War I.